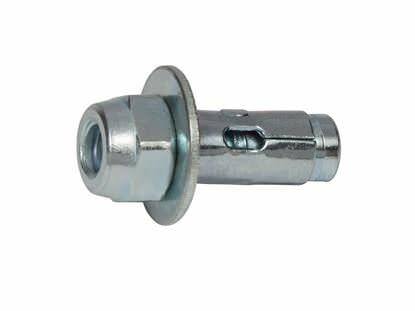 Zinc plated steel sleeve anchors are available in four different head styles: hex, acorn, flat countersunk and round head. Please note that not all sizes come in every head style, but selecting one that best meets the application requirements will be effective. 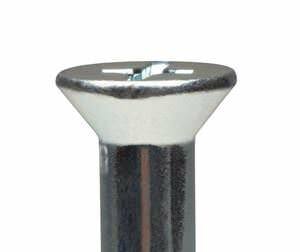 • The CONFAST® sleeve anchor is the most versatile type of masonry light to heavy duty fastener available. • Can be used in solid concrete, hollow block or brick base materials. • Comes in different head styles: acorn, hex, flat or round. • Examples of applications would be fastening an electrical junction box to a brick wall using the round headed, or fastening an electrical panel fastened to a block wall using the hex headed CONFAST® sleeve anchor. • The CONFAST® sleeve anchor comes fully assembled and ready for installation. 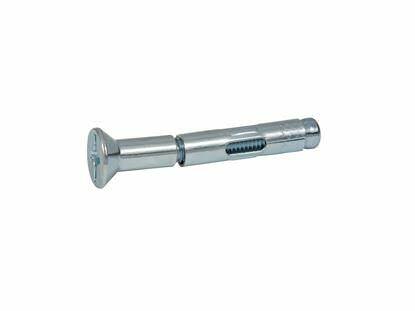 • Sleeve anchor diameter is equal to the diameter of carbide tipped bit required to drill the hole in the base material. • The hole must be drilled to a depth to insure that the CONFAST® sleeve anchor does not bottom out in the hole. • Each diameter must be embedded to a depth equal to or more than the minimum embedment depth. • As with any masonry fastener that is installed in concrete, brick or block, the holding values is determined by the strength of the base material and with the assumption that the anchor has been installed properly. • The larger the diameter and the deeper the embedment in the base material then the better the holding values will be for the CONFAST® sleeve anchor. • Small diameters such as the 1/4" are for light duty fastening while the 3/4" would provide heavier duty fastening. • The designated length of each CONFAST® sleeve anchor is measured from underneath the head or nut, except for the flat head which is measured as an overall length that includes the head. 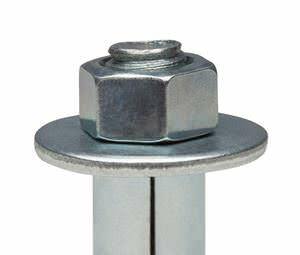 • The nut on the sleeve anchor does not match the designated diameter because the stud is smaller and fits inside the sleeve. 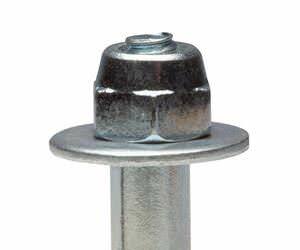 A 3/8" sleeve anchor requires a 5/16" nut. 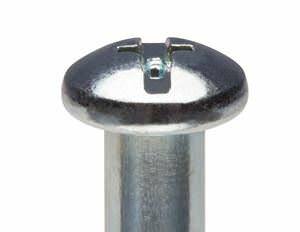 • Only certain diameters of CONFAST® sleeve anchors come with certain head styles. Acorn head is only available in 1/4", flat head comes in 1/4" and 3/8", and the hex head comes in sizes from 5/16" to ¾"